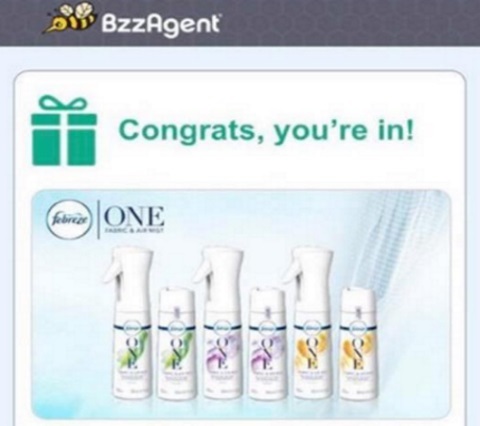 Bzzagent has a new campaign for Febreze One! Got a smelly problem? Don’t just mask it, eliminate it with the new Febreze One. Free of aerosols, dyes and heavy perfumes, Febreze One gently removes odors, leaving only a pleasant scent. Plus, its refillable and recyclable. Check your email and BzzAgent account to see if you’re invited. To ensure that you have the best chances of being chosen for campaigns, be sure your account is all up to date on surveys.